Online shopping from the comfort of your own couch is the best! Gone are the days where you have to wait in long lines and fight over the latest toy or gadget. Now, finding great online deals is just a few easy clicks away. Make it a policy to never purchase anything online without first finding a coupon code to use. Do a simple Google search or try sites that gather coupon information like RetailMeNot.com or Coupons.com. Search for the store you’re planning to shop from and boom! You have a long list of coupon codes and discounts rated by other users. With only a few minutes of effort, you can find online deals that could save at least 10–25% off your order! There are plenty of sites out there that comb through online sales to help keep you in the loop of the best online shopping deals. To name a few, DealNews.com, Offers.com, Slickdeals.net, and MoneySavingMom.com will help take care of the searching for you. It may take some digging around, but you’re bound to score deals you might not find elsewhere. A word to the wise: be careful and make sure the security information on the site shows you’re shopping on a secure URL (https) so you’re not giving away any personal information. 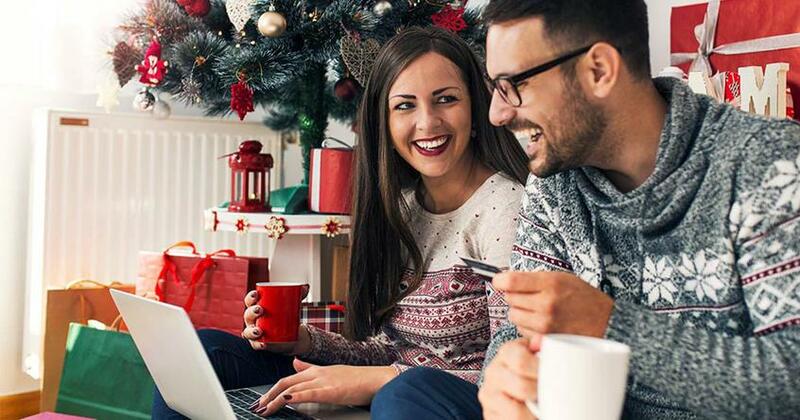 If you love the thrill of hunting down a good deal just a few times a year, be sure to mark your calendar for Black Friday, Cyber Monday, Green Monday and even Amazon Prime Day. These online shopping days happen once a year, and sometimes they can be overhyped. But if they’re offering the kind of items you’re looking for, you can walk away with a great deal! With all the online promos these days, you should rarely have to pay for shipping. It’s just not worth it to pay high shipping prices—even if the online deal is spectacular. If you’re willing to look around and be patient, you can buy just about anything online without paying for shipping. Many stores offer free shipping year-round on a minimum order amount, or they offer free shipping codes at random times throughout the year. Check out FreeShipping.org to find free shipping codes and offers available at thousands of stores online. What the heck is dynamic pricing anyway? It’s simply when retailers hike up the prices on online items based on your zip code, search history, and even whether you’re shopping on a mobile device or laptop. If you want to keep that kind of price gouging at bay, here’s what you need to do before you make an online purchase: clear your browsing history and cookies, sign out of your social media sites, and switch to private browsing in your browser (sometimes it’s called incognito mode). Try this next time you shop online and see if it saves you a little bit of cash! If you know you’re going to spend money at a specific store, buying discounted gift cards can be a huge money saver. Sites like Raise.com and CardCash.com let users sell gift cards at a reduced rate. Let’s say you already know you’re going to do all your Back to School shopping at Old Navy, or your Christmas shopping at Costco. Why not buy a discounted gift card to the store? It could save you 10–15%! Popular online shopping sites like Groupon, LivingSocial, and PriceGrabber all have apps that compare prices and offer exclusive, limited-time deals. They include a wide range of offers like discounted pedicures at a local spa, household décor items, and everything in between! While you’re at it, look into cash-back apps like Ebates that work with online stores to offer a percentage of your total purchase back as a rebate. While it might not seem like much, it can really add up over time. If you’re already going to be making an online purchase, why not get a little money back too? Stores like Kohl’s, Target and Walmart all participate in price matching with competitors. Speaking of Walmart—their app offers a Savings Catcher that is pretty much a price-matching tool. You scan your receipt, Walmart compares prices, and then they’ll refund you the difference in a digital gift card if an item is advertised cheaper at a competitor’s store. Not too shabby! Just because you’ve put the item into your cart doesn’t mean you have to buy it right then. If you abandon your shopping cart, many sites will send a savings offer in a follow-up email. This is a great way to score a 10–20% off coupon code with little effort. Instead of acting right away, just be patient! Bonus: you’ve just avoided an impulse buy! Those live chat boxes that pop up while you’re doing your online shopping are as annoying as can be, right? We thought so too . . . that is, until we discovered they can be the ticket to scoring some extra savings. Ask if there are any special sales or promo codes they can share with you. It’s that easy! And if you just missed a sale or your coupon code expired, ask if they can extend it for you. Some companies will give you the discount because they want to keep you as a customer. You’ll never know if you don’t ask! It pays to follow your favorite stores and brands on social media. Many brands will announce special flash sales for their social media followers, and some even offer free shipping codes. If you really love a specific shop or brand, follow them on social media and take advantage of sales for being in the loop. Did you know there are apps that tracks price drops for you? Lyst is like a glorified “save for later” list that also alerts you as soon as a price drops. You can even shop by item description or store brand. Are you an avid Amazon shopper? Let CamelCamelCamel track prices on Amazon for you. Or you can always install something like PriceBlink on your desktop computer. When you’re doing your online shopping, PriceBlink will show you the price comparison of the item you want but at numerous stores! That way you can price compare with little effort. How do you avoid having to pay those outrageous shipping costs (and still score the online only discount)? Have it shipped to the store! You might even be able to pick up the item the same day you order it! Let’s be honest: price matching is great. And getting the refund of the difference is even better. But it can be pretty annoying sometimes. First of all, you have to notice the item’s price went down. And beyond that, you have to go to the store in person to claim the match—that’s annoying. So, why not let the robots be the middle man for you? Paribus will go back through your email confirmations and track what you purchased. If the price drops, they’ll take care of filing the price adjustment for you while you get to keep the savings! However, it does only work for online purchases. One thing that might make you feel a little uneasy is how you have to give Paribus access to your email. Whomp, whomp. We get it. Just do what works for you! Wait, how do you even negotiate prices on the internet? Allow us to introduce you to PriceWaiter—the online shopper’s personal haggling machine. Install this plug-in to your browser and shop around like normal. PriceWaiter will pop up giving you the option to make an offer on the item. Just keep in mind that, while this is a great tool, it can be pretty selective about what items and brands it works with. And it’s worth noting the plug-in itself is a little slow—but your patience might just pay off! Type in what you want to pay and then sit back and wait. Usually you’ll know if your offer was declined, accepted or countered within 24 hours. Now that you're on the lookout for the best deals, make sure you check out our online store! You'll find exclusive bundles and weekly deals on life-changing books, classes and tools to help you beat debt, save for the future, and reach your goals. It’s Cyber Monday and we’re getting in on the fun with these nine crazy deals! Are Trendy Subscription Boxes Cost-Effective? Some people say they’re full of junk. Others say they’re worth every penny. So who’s right when it comes to subscription boxes? The Budget Mama, Jessi Fearon, shares three practical ways to save cash while shopping online during the holidays. This merry little gift guide from the daveramsey.com online store will help you with those on your list, naughty or nice.